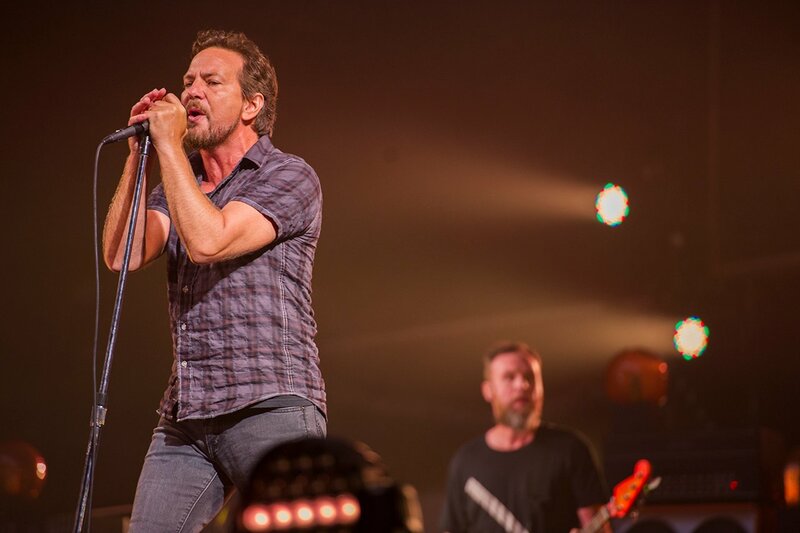 Pearl Jam could return to tour Australia next year, after the band confirmed plans to get back on the road to celebrate their 25th anniversary. The news came via a Twitter Q&A session, which featured the Jam’s bassist, Jeff Ament, and manager, Kelly Curtis. Curtis confirmed that a tour will definitely take place in 2016, with the first round of dates to be announced in the New Year. He also teased that Eddie Vedder & co. have something else planned to celebrate their silver jubilee, but he couldn’t (or wouldn’t) reveal any more details at this stage. It follows revelations by Jeff Ament back in August that Pearl Jam were planning to knuckle down and record their 11th studio album within the next year. Although, it seems that hasn’t started yet. Curtis also conceded that they haven’t fully recorded any music since their 2013 album Lightning Bolt. But that could change soon. “They are always in and out of the studio and constantly writing,” he commented. Either way, looks like 2016 is shaping up to be a big year for Pear Jam fans.